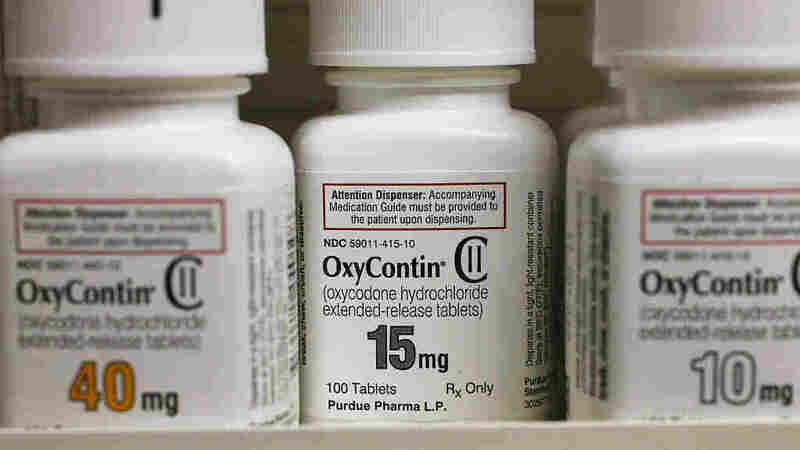 Doctors React: OxyContin Maker Purdue Pharma Halts Opioid Marketing : Shots - Health News Purdue Pharma, maker of OxyContin, won't promote opioids to doctors anymore. In Maine, physicians say the change should have happened long ago. Bottles of Purdue Pharma L.P. OxyContin medication sit on a pharmacy shelf in Provo, Utah, in 2016. "I think it's similar to the tobacco industry learning they could sell tobacco without spending a lot of money on advertising. My guess is this decision is in their self-interest," he says. A nationwide lawsuit against Purdue Pharma for deceptive marketing continues to grow. Seven cities in Maine have joined, including Portland, Lewiston and Bangor, along with five counties, to recoup some of the costs of addressing the addiction crisis. A spokesman for Purdue Pharma said in an email that the decision to stop marketing to prescribers is voluntary and independent of any litigation. Nesin says that at the very least, the company's decision to refrain from promoting opioids to doctors reinforces the need for caution when prescribing the drugs. Maine Medical Association President Dr. Robert Schlager agrees that Purdue Phama's move is a good, if small, step to fight the opioid epidemic. "I wouldn't expect it to have a very large role in limiting opioids further," he says. "Because most of us, as prescribers, do limit our information exchange with the drug representatives who have been marketing opioids." Since 2016, doctors in Maine have also adhered to prescribing limits enacted by the Legislature. As of December 2017, legislatures in 17 states had enacted prescribing limits and nine others had authorized other state entities to enact them. Schlager says Purdue Pharma should go further and suspend opioid marketing worldwide. "It seems a little bit not honest to just limit it here in the United States," he says. In an email, Purdue Pharma's spokesman says that the company operates only in the United States, and that an associated company, Mundipharma, has not marketed opioids in Europe since 2013. A Los Angeles Times investigation in 2016 found that the family that owns Purdue Pharma has a network of international companies that employ the same kinds of marketing practices that made OxyContin a blockbuster seller in the U.S. This story is part of a reporting partnership with NPR, Maine Public Radio and Kaiser Health News.